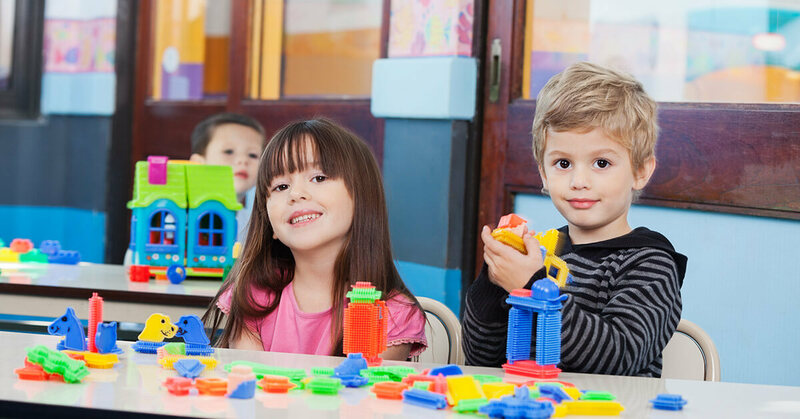 When you are looking for a daycare in the Huntington NY area, you will be looking for particular qualities in a daycare. We have compiled a list of qualities that conventional wisdom says are important things to look for in a daycare for your infant, toddler, pre-schooler or pre-k child. We have added how Rainbow Chimes fulfills these needs for the families and children for whom we provide daycare services. You will need a daycare that is flexible and offers care on days when the school might be out but you still have to go to work. Rainbow Chimes offers before and after care as well as infant to pre-K care. Rainbow Chimes as agreements with certain corporations in the area to provide emergency care for its employees. This means that your child doesn’t have to say goodbye to old friends when they start kindergarten. This consistency helps ease the transition into a public school education. You will want to make sure you child is in an environment where the child to caregiver ratio. Rainbow Chimes maintains a high ratio of teacher to child. In the infant room we maintain a 1:4 ratio of caregivers to infants. We also have floaters who can come and help whenever the babies’ immediate needs outnumber on the caregivers. For toddlers we maintain a ratio of 2:10 or 3:12. Nurseries are monitored by CCTV’s and intercoms so the office knows if a floater needs to be assigned to a classroom. If you live in the Huntington Long Island area and are looking for daycare for your child, we encourage our to visit our site to learn more and to contact us to schedule a tour of our facility.